<p style="&quot;text-align:" justify;"="">The ocean has the oldest, most diverse, most numerous and least studied organisms on earth. It covers almost three fourths of our planet and has the potential to feed the world and supply cures for many diseases. Studying sea plants and animals is a challenge that is becoming easier due to advanced technologies such as deep-sea submersibles, sonar, lasers, videos, and satellites. 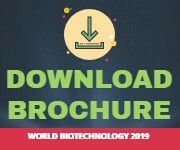 Biotechnology contributes to current or potential uses of marine products in the areas of: Aquaculture, Conservation of marine ecosystems Therapeutics/medicines, Aquatic animal health and seafood safety, Biomedical research Algae cultivation. Marine Biotechnology is a relatively new field of study, having emerged in the past few years. It began in 1998 when scientists from the Scripps Institution of Oceanography and various departments of the University of California, San Diego, came together and formed the Center for Marine Biotechnology and Biomedicine. The Specialty Marine Biotechnology is intended to host scientific contributions in marine science that are based on the enormous biodiversity of marine ecosystems and the genetic uniqueness of marine organisms to develop useful products and applications. Marine Biotechnology is the study of how the various organisms and actions of the ocean can be used to provide services and products to us. 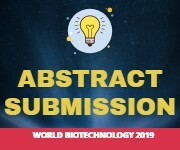 Marine Biotechnology is the use of living marine resources at (eco)system, concept, organism or molecular level to provide beneficial solutions for the society. Scientists in this field of Marine Biotechnology are studying the various enzymes and proteins of marine life in hopes of solving many problems that plague the area of Agriculture and Industry today. These problems include trying to find anti-corrosive coatings and "self-cleaning" surfaces for industrial use.